Thursday, September 22, 2016, 7:00 p.m.
Last year’s Harvest Supper was a magical experience. 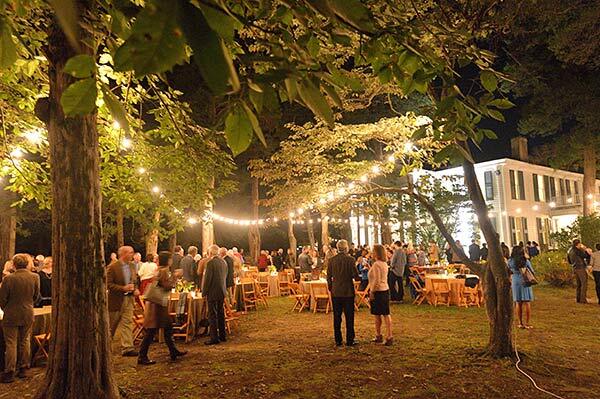 So mark your calendars now to join us for another enchanted evening at Rowan Oak. PARKING: There will be parking for guests at the ‘South Lot’ which is on the corner of Old Taylor Road and Old Taylor Road. The Rebel Ride Trolley will be transporting guest to/from the lot and the end of Rowan Oak’s driveway. Please follow the parking directional signs which will be placed around the area. Rain Plan: If raining, Harvest Supper will be moved to the Museum. Please click here for more information about the art for auction during Harvest Supper.